Pro-Flex XC has been developed to comfortably accommodate the relatively active user, who enjoys hiking and jogging, as well as levelground walking. Comes with an aesthetically pleasing, anatomical footcover and integrated male pyramid. 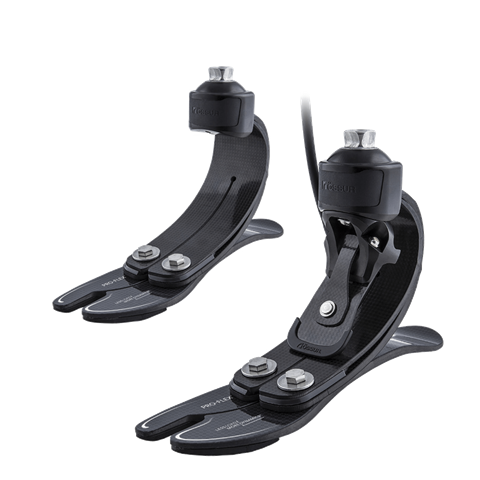 Unity for Pro-Flex XC is available either pre-fit with a new foot or as a retrofit option. Used in combination with Iceross® Seal-In® liners, Unity provides advanced vacuum suspension for the socket during ambulation, without the constraints of an external sleeve. It adds minimal weight to the existing prosthesis and its simple mechanical design means there are no batteries to worry about. Reliable, effective and easy to use, it is designed to improve balance and prevent skin problems.